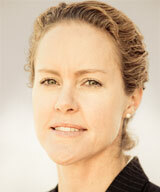 Kristina Alley has nearly 20 years of experience providing wealth management services. At SFA, she is responsible for client relationship management, compliance, operations and finance. Kristina was a co-founder of Santa Fe Advisors in April 2014 with David Kantor and David Marion, with whom she previously worked at First Santa Fe Advisors. Kristina joined FSFA in May 2008, where she served as a Managing Director. Prior to returning to her native New Mexico, Kristina spent ten years with U.S. Trust Company of New York, where she managed over $250 million for high net worth and institutional clients. Kristina, as a native Santa Fean, strongly supports the community, particularly educational organizations and is active with a variety of organizations in the Santa Fe area. Together with her family, she enjoys horseback riding, skiing and other outdoor activities. Kristina has also traveled extensively and speaks Spanish and Swedish. Kristina received a BA in Spanish Literature from Bryn Mawr College and an MBA from Fordham University. She is a CERTIFIED FINANCIAL PLANNER™ professional.